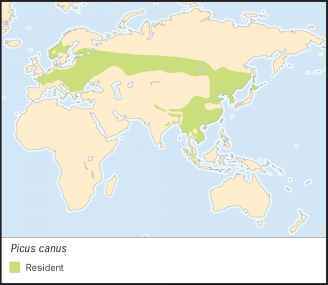 Picus canus Gmelin, 1788. Hybridization with Eurasian green woodpecker known. 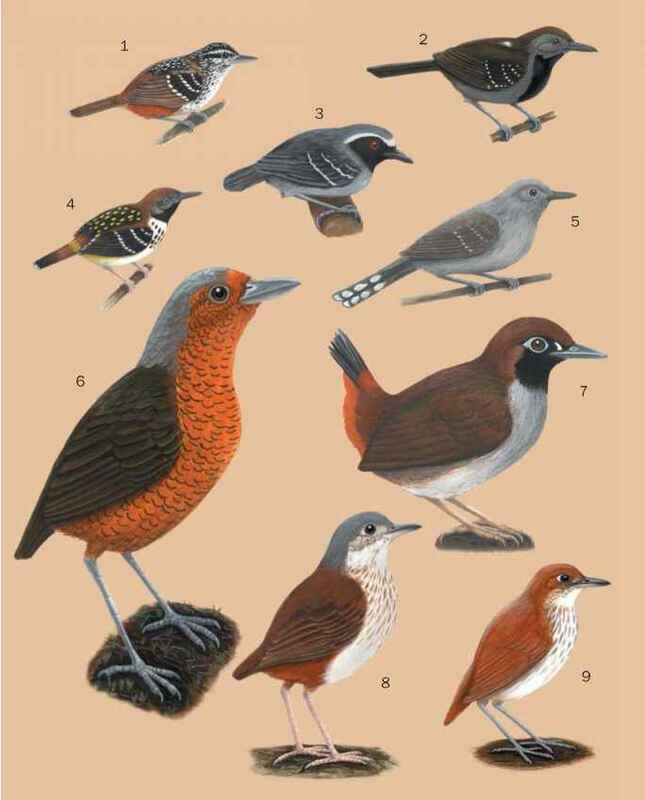 Eleven subspecies recognized. English: Gray-headed woodpecker, gray-headed green woodpecker, ashy woodpecker, black-naped woodpecker; French: Pic cendré; German: Grauspecht; Spanish: Pito Cano. 10.2-13.0 in (26-33 cm), 3.9-7.3 oz (110-206 g); back olive green, yellow-green rump, gray head, narrow black "moustache," breast light gray-green; male with small red patch on lower forehead; female without red. Central and eastern Europe through central Asia to Himalayas; Southeast Asia through China, Manchuria, Korea, Hokkaido, Hainan, Taiwan, Sumatra. 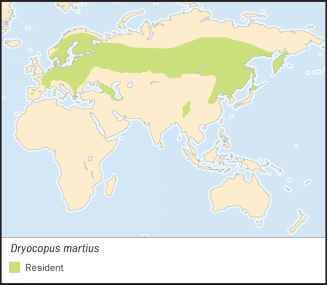 Subspecies can be divided into two major groups: 2 subspecies found in northern Eurasia; 9 found in southeast and east Asia. Found in a great diversity of forest habitats: moist bottomland forest to open park-like, to uplands with many conifers. Monogamous, normally solitary; territorial during breeding. Often winters in riparian areas and closer to humans; some nomadic winter movements. Diet is mostly ants and termites and their brood, but also includes other arthropods, fruit, nuts, nectar, and eggs of other birds; in many areas it especially frequents old aspen trees. Nest cavity in decayed wood excavated by both sexes; clutch of 4-9 white eggs incubated by both parents for 14-17 days; young cared for by both parents (rarely by a helper); fledge at 23-27 days.